Newer: » Happy Mother’s Day! The Ninth Annual BTB awards honored Mrs. Elvia Staines with the Lifetime Achievement Award on Wednesday, April 22, 2009. Mrs. Staines is considered a tourism icon, and has owned and managed Elvi's Kitchen for 35 years. Those years of dedication, hard work, and contribution to the growth of tourism were celebrated on Friday, May 8th, with a fabulous dinner-gala event. 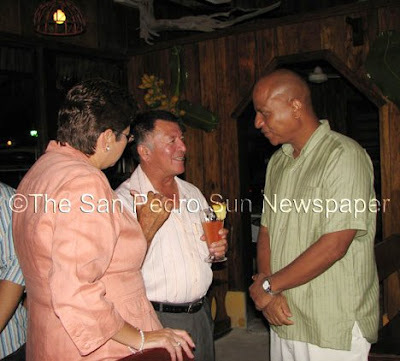 Mayor Elsa Paz, Minister Manuel Heredia Jr. and PM Dean O. Barrow. 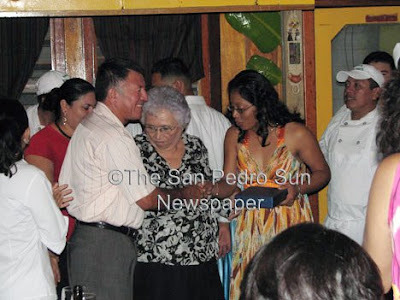 The list of invited guests included Belize's Prime Minister, Honorable Dean Barrow and his lovely wife, Kim Simplis-Barrow, the Minister of Tourism and Civil Aviation and Culture - Manuel Heredia Jr. and his beloved wife, Mrs. Carmelita Heredia; Mayor Elsa Paz, Jules Vasquez of Channel 7 News, plus many, many beloved friends and family members. 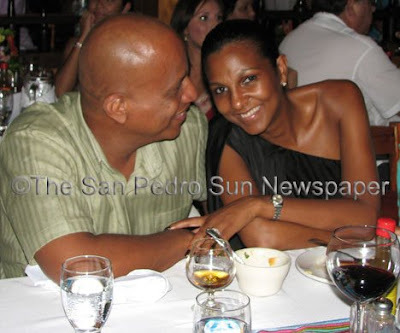 PM Barrow and Mrs. Simplis-Barrow. 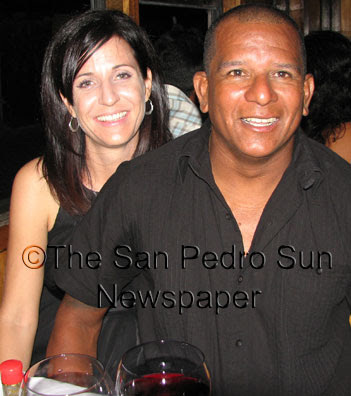 Tour Operator of the Year (2008-2009) winners, Rebecca and Elito Arceo of SEAduced. A most delicious Mayan Buffet completed the evening. 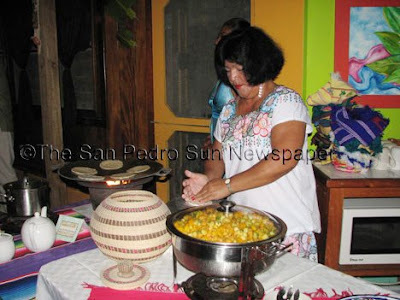 Guests were treated to a night of great food via the traditional Friday Night Mayan Buffet, drinks and presentations that included honoring the hardworking staff at Elvi's Kitchen. 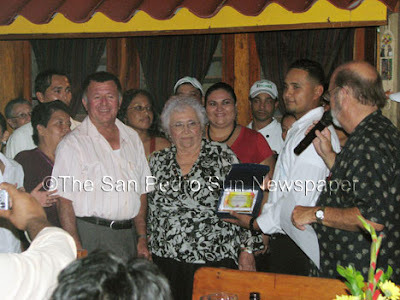 "Ampie" was honored for her many years of dedication. Bartender Emil also received an honorary award for the evening.